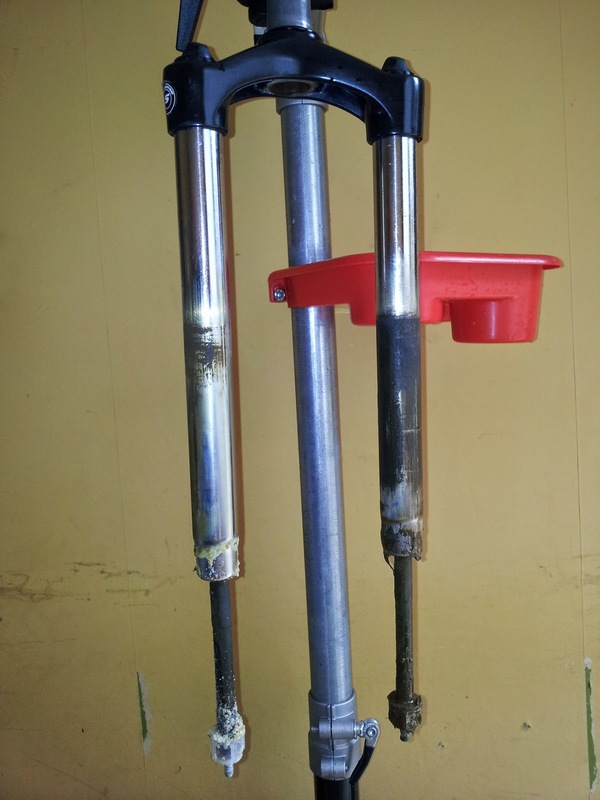 I've never serviced the forks that came on my mountain bike. Partly because I was worried about the cost and partly because I thought they weren't good enough to bother. Well, after coming across a video that showed how easy it was to give them some TLC, I thought it'd be worth giving my forks an hour of my time. The least I could do for the 300+ hours I've used them. I thought my forks would in be poor condition. I was wrong. They were worse than that. See below. Well, I gave them a good clean and regrease as per the video and I now know they are in as good condition as they are ever going to be. If you have some Suntour entry level forks (found on bikes <£600) then take a look at the video from MBR magazine and give them a new lease of life.